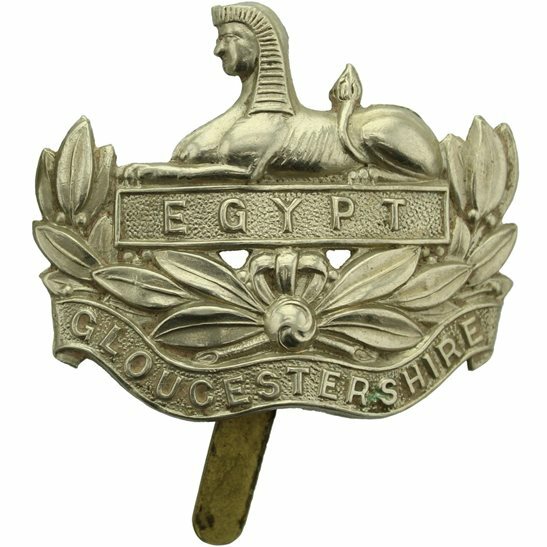 It is not clear when Percy Abell enlisted but there are references to first being attached to the Cavalry Reserve Regiment, service no 29612, before joining the Gloucestershire Regiment 8th Service Battalion. The Gloucestershire Regiment 8th Battalion was sent to relieve Australian troops in front of Messines, south of Ypres on the 1st April 1918. The diary shows no activity for the following days when they were in Front Line trenches. 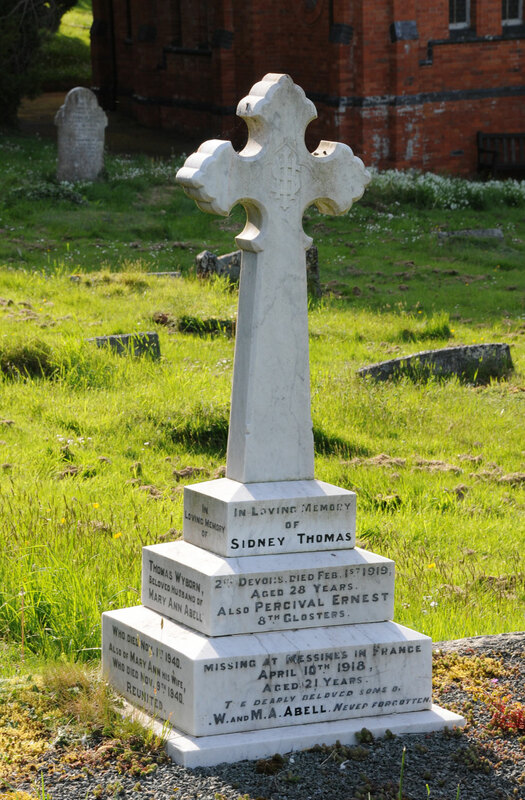 Percival Thomas Abell and Sidney Thomas Abell (q.v.) were sons of Thomas Wyborn Abell (1860-1940) and Mary Ann Murrin (1860-1940). Thomas Wyborn Abell was the son of Henry and Sarah Abell who were farming 280 acres at Meeth, a small village about 13.5 km north-west of Okehampton. Mary Ann Murrin was also a daughter of farming parents at Meeth, John and Jane Murrin. Thomas and Mary married early in 1885. They were both born in Hatherleigh, a short distance from Meeth. By 1891 census Thomas Wyborn and Mary Ann Abell were living at Down, Winkleigh where he was a farmer. Percival Thomas Abell was born at Winkleigh early in 1896 .In 1911 census the family had moved to the Strand Hill Dairy, Dawlish with five children. 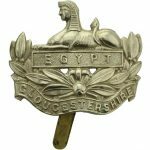 Regimental diary of the Gloucestershire Regiment, 8th Battalion.